Update May 18, 2018: We’ve caught word that the Asus PG27UQ and Acer X27 already started shipping to retailers and will become available shortly. The info came from an Nvidia executive, but we don’t recommend you hold your breath since this isn’t fully official from the company itself. 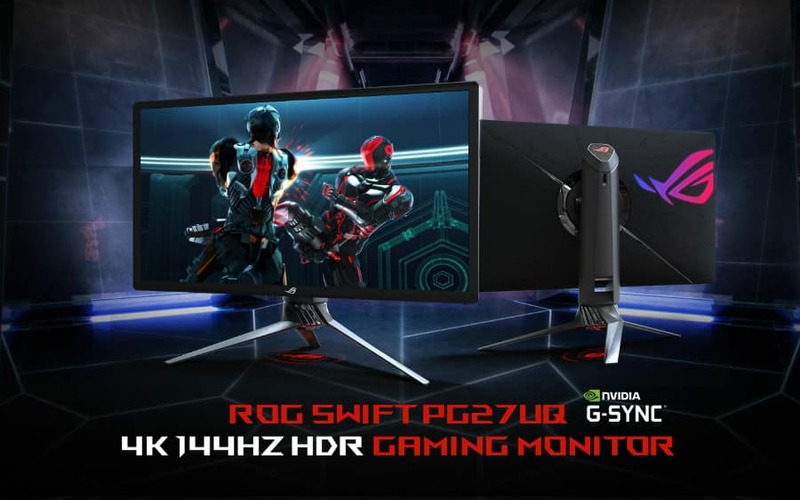 4K 144Hz monitors like the Asus PG27UQ and Acer X27 are still nowhere to be found after more than a year of waiting since their announcement during CES 2017. We’ve received endless questions regarding pricing and availability from our readers due to the massive delay, but it seems we finally might get to see these new flagships on retail shelves soon. Here are the facts we know about so far, so if you are interested, read on! Other models like the Acer X27 and the AOC AG273UG will most likely use a similar panel or a variant of this 4K 144Hz AHVA panel. Apparently, what sets the Asus PG27UQ apart is its OSD will include a speed control option to boost the response of the FALD backlight. This is a good idea since the Dell UP2718Q, the first truly HDR capable monitor with a similar backlight, felt a bit slow for fast-paced gaming. Another notable specification for these 4K 144Hz gaming monitors is the addition of a Quantum Dot screen coat that boosts the gamut volume and vibrancy of the screen. In some monitors, Quantum Dot helped to achieve numbers such as 125% sRGB or 90% DCI-P3. HDR specs require comprehensive coverage to create the necessary effects. Of course, all of these features will require a massive bandwidth capacity. All of the 4K 144Hz monitors we know about will utilize the DisplayPort 1.4 interface which is the only standard that can handle 4K at this refresh rate along with HDR. According to Asus reps, 4K HDR consoles will work with the PG27UQ and its HDR output via HDMI 2.0, although the refresh rate will be limited to 60Hz. 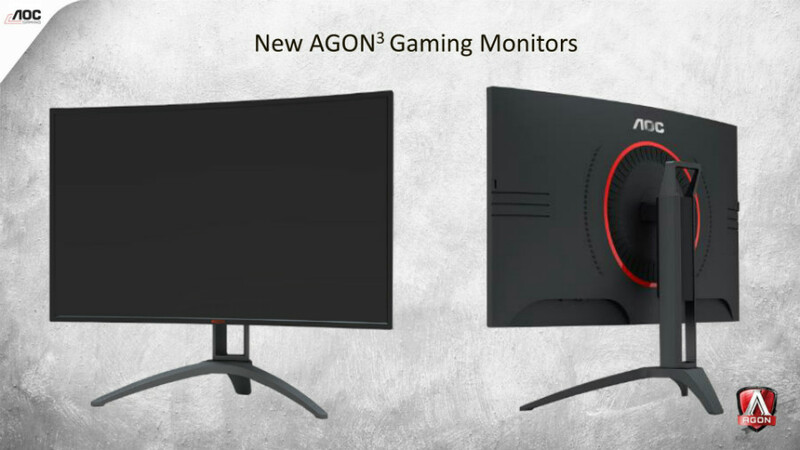 Unfortunately, we are still in the dark as to when these highly anticipated 4K 144Hz gaming monitors will become available on retailer shelves. During CES 2017, Asus and Acer promised Q3 2017 availability since these AU Optronics panels were in mass production during July 2017. Perfecting this new technology took some time, and truth be told, was massively delayed. But recently, we’ve caught wind that Nvidia stated in some interviews and press cons that they are ardently expecting a release before this month ends. An Asus rep also posted in the ROG forums that PG27UQ mass production will start next month (May 2018), equating to a June or July release. Reliable sources in the UK and the US are suggesting that the screen is again pushed back to Q3 2018. We think this is more accurate for these 4K 144Hz gaming monitors because if they were releasing sooner, the involved brands would already be blowing their horns. Price tags for the mentioned 4K 144Hz HDR monitors were speculated to sit in between $1500 to $2500 since their announcements. These new models with a never before seen combination specs will undoubtedly command a load of cash, although there was a suggestion somewhere that they may not be as expensive as we think because of the delays. After all, the surprise and anticipation have dissipated in the long and annoying wait. Take note that these prices are pre-sales tax, meaning some of them may exceed three grand in some states and countries. Anyhow, we sincerely hope that the extended delay has allowed you guys to save up! For the latest news and updates, keep checking Monitornerds.com and this article. Hi, Derrick! 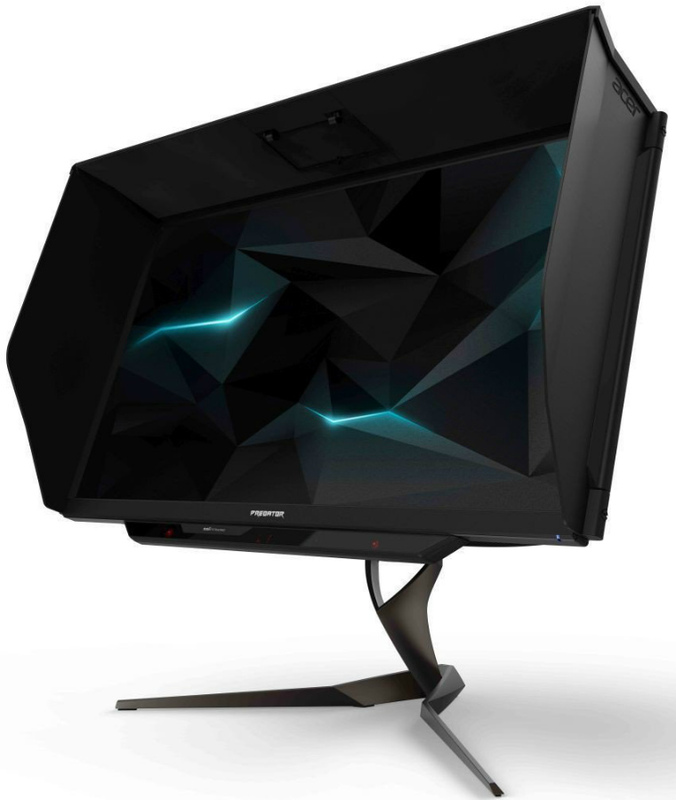 The Acer Predator X27 is available for pre-order here. Does the Asus have a full array panel? Hi, Sonny! When the PG27UQ was announced, Asus indeed promised FALD backlighting. However, we still cannot confirm this specification until the monitor becomes available for review. Hey, Yanz! We’re also eagerly awaiting news about the PG35VQ, it was even teased earlier on social media sites. However, we haven’t come across new information, but we will post an update once they become available. Computex 2018 is coming, so hopefully, Asus gives us more good news by then! When is it going to release in the U.S.?? Hi, Derrick! Still no specific release date from Asus or Acer. This is all we have so far, but we will update the article once we get news. Thanks. I understand that the PG27UQ was launched in China today – so hopefully wont be too long before they are on the shelves in Europe. Do you know if the quantum dots used in the monitors are Cadmium Free? Hey, Eskers! We hope so too! We’re not sure if the PG27UQ is cadmium free since details are still so limited at this time.